If you have sustained whiplash injuries from a car accident, then you may be eligible to make a claim for financial compensation. It is your legal right to make a claim, however your eligibility to make a claim depends on when and how your accident happened. You only have three years from the date your injuries became clear (this is known as the date of limitation) to make a claim for whiplash. If your accident happened more than three years ago then your claim is time-barred and you cannot make a claim. 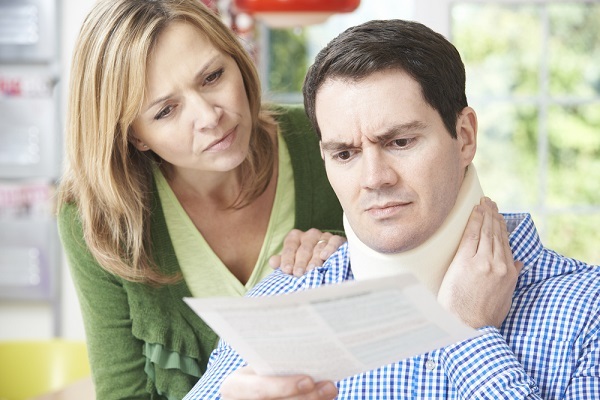 In order to be eligible to make a whiplash claim, the accident that caused your injuries must not be your fault. You can be partly liable for the accident but if you are wholly liable then your chances of claim success will be small because the other side will simply contest their own liability, and you won’t have anywhere to go from there. Most personal injury solicitors will turn down your claim if you were wholly to blame for your accident. I think I’m eligible for compensation. How much could I get? Personal injury compensation is awarded to help you recover from your accident physically, emotionally and financially. It is made up of two parts – general damages and special damages – the former being the compensation awarded for your injuries and the latter the compensation awarded for financial loss. The average whiplash settlement for minor whiplash is around £1,500 while the average settlement for moderate whiplash is around £4,000 and the average settlement for severe whiplash is around £8,000. Whiplash claims can be processed in as little as 6-8 weeks if they are clear-cut however more complex cases can take months. It’s important to remember that the length of the claims process mainly comes down to the other side and how quickly they process your claim. Insurers are notoriously slow at this so remember to stay patient throughout. If you haven’t done so already, you should call an accident advice helpline for free legal advice. Most law firms operate a helpline for the victims of accidents who want to find out more about the claims process and get advice about their case. You could get an estimated pay-out based on the information you provide and at the end of your call you should have a much clearer idea about where you stand legally. And if you do choose to make a claim, you will be under no obligation to make one over the phone. It’s your choice who you use.